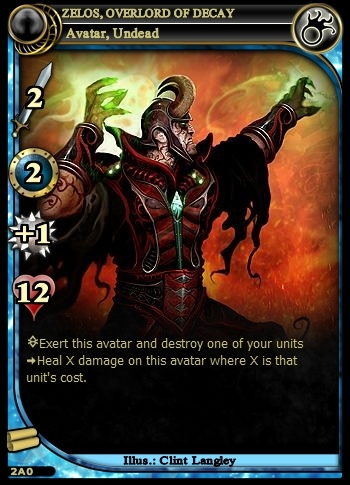 Exert this avater and destroy one of your units→Heal X damage on this avater where X is that unit's cost. 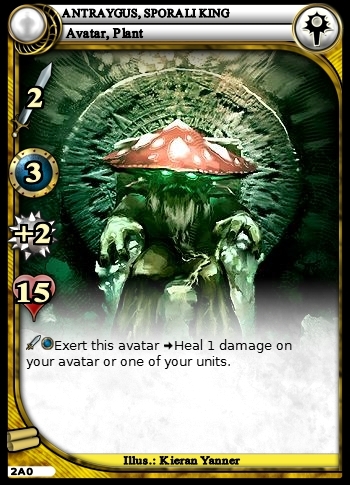 Exert this avater→Heal 1 damage on your avater or one of your unit. 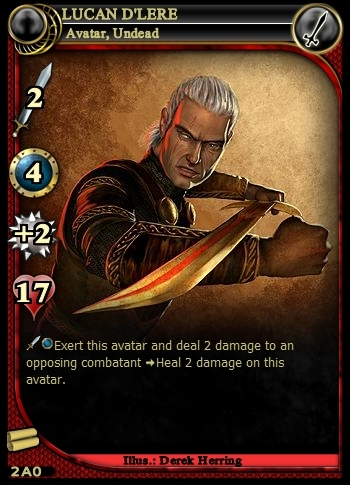 At the start of your turn, deal 1 damage to this avatar. 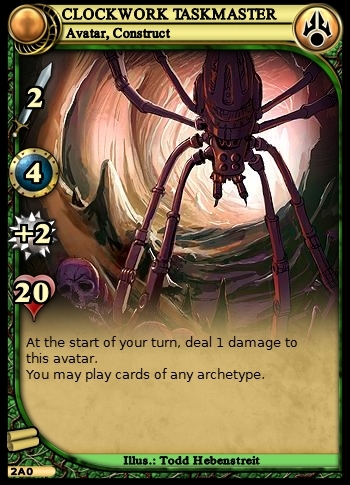 You may play cards of any architype. 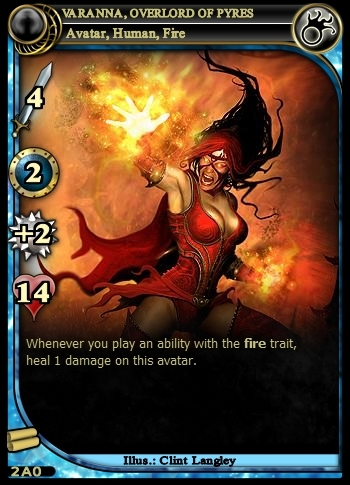 Whenever you play an ability with the fire trait,heal 1 damage on this avater. 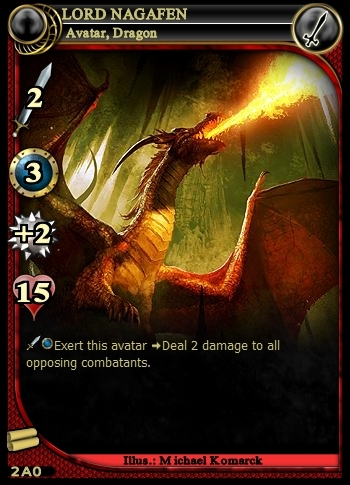 Exart this avater→Deal 2 damage to all opposing combatants. 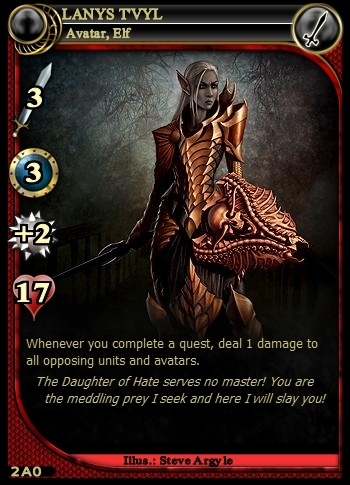 At the start of each combat involving this avater,exert an opposing combatant. 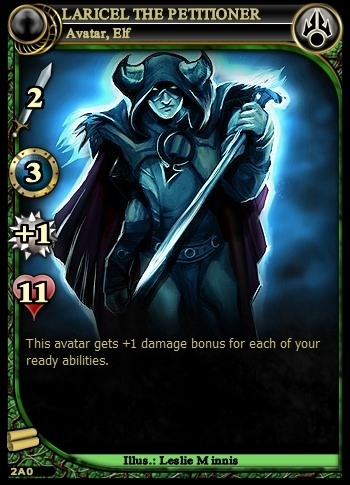 Whenever you complete a quest,deal 1 damage to all opposing unit and avaters. 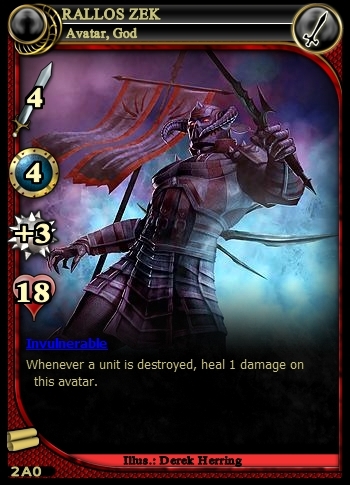 Whenever a unit is destroyed, heal 1 damage on this avater. 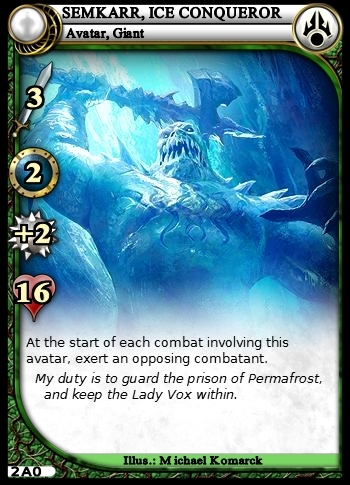 Exert this avater and deal 2 damage to an opposing combatant→Heal 2 damage on this avater.